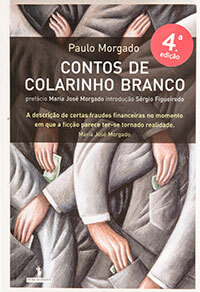 The eighth and latest book by Paulo Morgado proposes a strategizing model. Unlike traditional models, the one presented in this book is eminently practical and enables, according to the author, to combat company inaction or paralysis, typical when in times of difficulty. 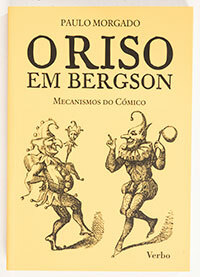 By applying French philosopher Henry Bergson’s school of thought, the author proves that management, when more attentive to intuition and life experiences, and when it promotes and keeps strategic attention, enables companies to face the current times of change, which require fast and decisive action. 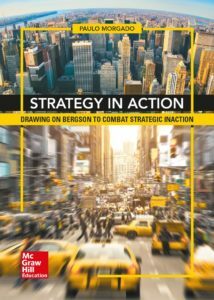 Strategy in action aims at responding to the question: How can we reduce the gap between strategy decision-taking and execution? What do humour and management have in common? Could it be, perhaps, that these two worlds “never collide but follow parallel lines without ever touching each other until infinity,” as pointed out by Nuno Artur Silva in the book’s preface? 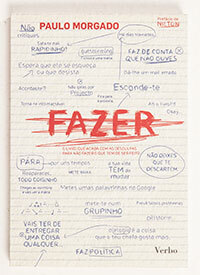 In this, his seventh book, Paulo Morgado will prove that, actually, these two worlds do cross each other, and he does so by explaining how his eleven interviewees –who, as well as Nuno Artur Silva, include Herman José, Luís Alfonso, Luís Pedro Nunes, Nuno Markl, Nilton, Ricardo Araújo Pereira, Fernando Alvim, Nuno Costa Santos, Jel, and Bruno Nogueira– follow some principles and working methods that can be directly transferred to the field of management. In Gerrir, Paulo Morgado synthesises the lessons that managers can learn from comedians in 12 essential actions (or verbs): to put in perspective, to ritualise, to train, to teach, to verbalise, to risk, to symbolise, to deform, to do, to analyse, to intuit, and to separate. In “Fazer” –To Do in English–, another of Paulo Morgado’s books, the author explains in detail the difference between what we ought to do and what we actually do. At first sight, the reader will consider this distinction as an obvious one, which does not require any explanation. And in a first attempt, the reader will be right. However, the author, with a very personal mordant prose, takes the risk of betting with the reader that: The book is not done! The book that the reader is holding does not exist? Is this a magic trick? A logic riddle? Perhaps. But, above all, a fun literary exercise, with a brilliant approach, and 200 tips from friends who offered guidance to the peculiar main character of this book, so as to help him avoid (or so he thinks) the bore and hard work that “to do” implies. A view on the life trajectory and thinking of Henry Bergson, together with a clarification from the philosopher on the meaning of laughter, help us establish the starting point of this work and better define our object of study, which does not refer, precisely, to laughter as a physical phenomenon. 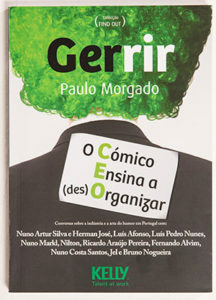 Paulo Morgado proves that laughter is a sign of intelligence, inherent to humankind, and a reflection of the moment of reinvention that our current society is going through. With a sharp and ironic tone, the author surprises us yet again with a philosophical essay on laughter mechanisms, closely linked to intelligence. 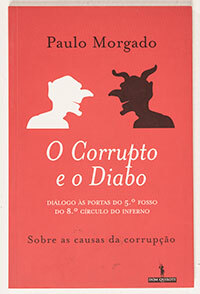 Making use of a refined irony, in O Corrupto e o Diabo, the author utilizes the Devil and makes him dialogue with scoundrels, prompting the reader to perceive corruption and raising their awareness to mobilise against it. The portrait the author paints of the typical Portuguese scoundrel is that of a mediocre rogue, devoid of any sophistication; an exercise intended to clearly show the most mundane version of corruption. Through a well constructed argument, Paulo Morgado proves that, in life, one does not have what one deserves but what one negotiated. 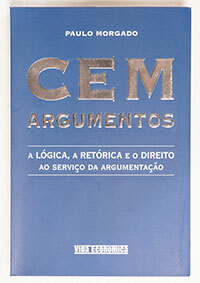 With a polished and simple style, the book leans on three basic disciplines, put at the service of argumentation: Logic, Rhetoric, and Law. How can we use a set of already defined logical errors? How can a speech help us convince better? How to dismantle a badly constructed reasoning? 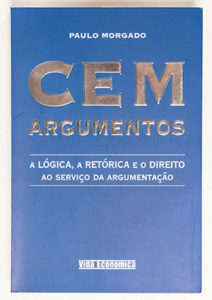 These are just some of the questions that the author attempts to respond to in this book, which we consider a true manual in the art of argumentation. 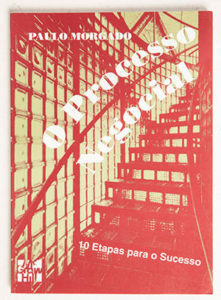 “Personally, I think that one of the main competitive advantages of the Portuguese people is their negotiating capacity.” In the first of his books, Paulo Morgado directs the reader through 10 steps that will lead them to learn about key variables in a negotiation process: enquiry, contact, confrontation, conciliation, leadership conclusion, planning, implementation and control. The author turns to numerous examples and mnemonics, and presents four supplements supporting Machiavellian morality, which clearly illustrate the immutability of some of the main negotiation strategies.